I'm setting up a Lego club for alternate Saturday afternoons in Lymington Library which is the South of England. One of my library colleagues sent me a link to your blog which is really helpful and encouraging. Thank you for taking the time to put it online. Lisa, I'm so glad that you're finding the information useful. Best of luck as you debut your own Lego Club! Let me know if I can be of any assistance at all. 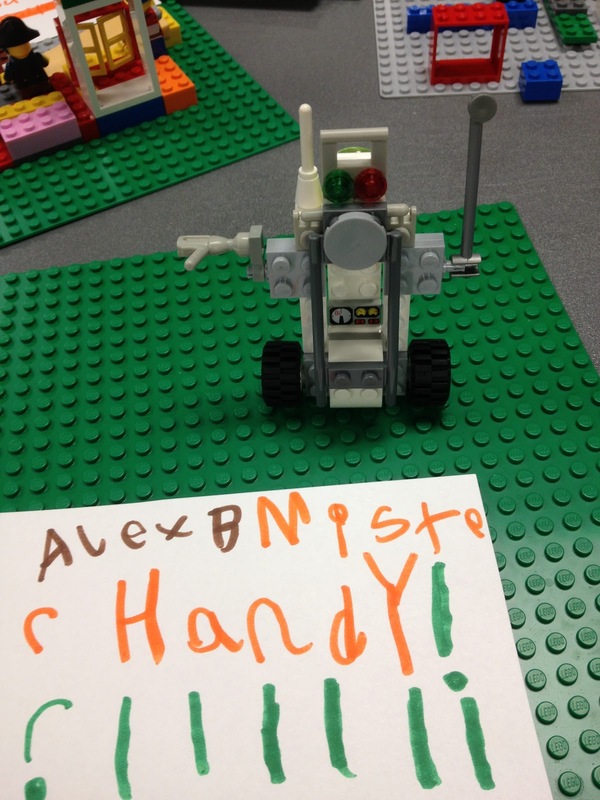 We're starting a Lego club this summer and I was extremely grateful to find this blog entry. All suggestions here were helpful! Although we're very excited, there is a bit of nervousness as we await the date. Any specific advice on holding the very first one? Thanks in advance! Hi, Jen. I would think that the best thing to do for your inaugural Lego Club is to explain the format to all the children at the beginning of the program. Maybe keep the tubs of Legos out of reach until you explain how things work. For us, that would mean explaining that kids can (but don't have to) build on a theme; that they can build until the last 10-15 minutes, at which point they'll bring their creations to our display table; and that everyone is responsible for cleaning up at the end. Beyond setting those ground rules, the program really runs itself; for the majority of the program staff get to circulate and interact with kids. We were starting a lego club in the fall. I think it will be awesome. Your blog has been so helpful. I had a question about latecomers. Do you let them come in after building has started? Ada, I am very flexible when it comes to latecomers at most of my programs. Since the majority of Lego Club is free building time, I have no qualms about letting latecomers join the program. Many times these latecomers won't have a building platform to anchor their creations, but they're usually happy to build freestanding things. Just let me know if you have any other questions. Have fun! Would you be willing to share some of your themes?? Absolutely! Recent themes include ancient Egypt, robots, pirates, symmetry, desert island, dinosaurs, breakfast (the kids chose it and ran with it! ), and mad scientist. The LEGO Quest Kids page (http://legoquestkids.blogspot.ca/2012/10/final-challenge-quest-52.html) also has great theme and building challenge ideas. Thanks for all of your helpful tips. I'm hoping to start a LEGO club at my library this fall. How many LEGOS would you recommend starting with? Your number of LEGOs ties to how many kids you anticipate being at the program. I'd say a 400-500 piece bucket per every 6-8 kids can work well if the kids are building smaller creations. Really, the kids will build with whatever supplies are available, so erring on the side of starting small is not going to present any huge problems. What about cleaning? How often do you sanitize the Legos and how do you do it? Thanks so much for your willingness to share your program--I'm hoping to have a Lego Club this Fall at my little branch library and I don't think I would've been able to figure all this out on my own! Great question, Melisa! I spray the blocks with a non-toxic cleaning spray about every other month. If you need to deep clean, you can always put Legos in a lingerie bag and stick the whole thing in your dishwasher. Just make sure to run it on a cool setting if you have one, and definitely no heat dry. Good luck! Do you keep the people, or wheels or other special parts in separate containers so that they are more easy to find? Jen, I do not keep any of the pieces (people, wheels) in a separate container. I leave them intermingled with the other pieces, and the children know they can leave their building stations for a few minutes in order to look for the pieces they need/want at other tables. Great information! I should have started here! This is wonderful! I've been running the Lego Club and have found that attendance has started to dwindle. We started with 30 and every month we have fewer and fewer. I only expect about 10 today. I came here for ideas to infuse my club with new life, and I think it has certainly given me inspiration! I typically do a loose theme, but I've found most kids unwilling to give the theme a try. Any suggestions? Thank you! Do you display kids' creations in the library? I've found that the visual advertising for LEGO Club via these displays does more to recruit new attendees than anything else. They come to the library and see the LEGOs, and they want to come back to make their own. You might also infuse your meetings with an element of competition using some building challenges. The LEGO Quest Kids page (http://legoquestkids.blogspot.ca/2012/10/final-challenge-quest-52.html) has great theme and building challenge ideas, and sometimes the "let's see if you can do this" aspect provides motivation. I just found your site, and I appreciate all of the helpful ideas. I'm considering a Lego Club in my library. In terms of the displays, do you break them down before the next session, or do you have enough legos to keep the creations on display until you are ready to replace them? Do you ever have any trouble with a child wanting to keep what they've made? (I love the display idea for that reason, because at least the child gets to see what they've made until the next time.) I also like your idea of announcing a theme, but allowing for free form creation. Have you ever paired the Lego Club with a themed story program? Do you play music during the program, or do you find it isn't necessary? (With a wide range of ages, I would think choosing the right music may be difficult, but I am wondering. For toddler, preschool or grade school crafts, I often play music, but the age range is narrower.) Thank you for sharing your programs and ideas! Great questions! We empty the displays and break down the creations just before each Lego Club program so that we have a full supply of Legos for the kids to use. I've not encountered children feeling upset because they want to keep what they've made; they like knowing it'll be on display. My branch does not pair with a themed story program--we find that kids are more than happy to spend the entire program building, and instead I'll walk around and talk to each child about what they are building and what they've been reading. I also have not had success playing music in our program simply because it adds to an already noisy room. Thanks for the tips we are in a small library in a rural area in Bucksport, South Carolina. Your suggestions are immensely helpful, as we had no idea how many legos we would need, would we need to sort them, costs etc. This is really great to proceed further. I was wondering, do we need any permission from Lego company, to start a lego club? No, you don't need any permission from Lego to start a Lego club. 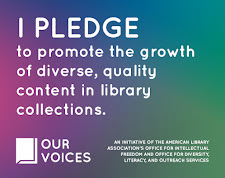 If you are using materials that your library has purchased, and you're not charging customers for the use of the materials, you're in the clear. We were just in your shoes and we spent about $300 on 5 of the LEGO® Large Creative Brick Box and then 4 of the Lego Creative Supplements totaling $80 altogether. I also ordered a few 4 packs of generic baseplates from Amazon and a pack of the LEGO Education Community Minifigures Set 4598355 (256 Pieces) for $50. We're not starting our program until the fall so I'm not sure if I made the best choices, but I just thought I'd share. I didn't get any Duplo because we have some generic larger blocks that we have from Lakeshore Learning, so I'm hoping those keep the siblings that tag along occupied. Where did you buy your cases? We got our cases from Displays2Go.com. They're actually meant to encase basketballs--that turned out to be the perfect size for our needs. Do you have any concerns with younger children who attend with their older siblings and choking hazards? I emphasize that only children in our target age range (K-5) may attend without supervision by a caregiver. Younger siblings are welcome to attend, too, so long as they have a caregiver with them at all times to monitor behavior, choking hazards, etc. This is a fabulous idea - do you charge for the sessions or is it free? I'm about to interview for the post of a library and information assistant in the UK and I'll definitley be asking if they've considered running one and if I could be in charge of implementing it if successful in post - thanks!! All our library events for kids, including LEGO Club, are free. Good luck with the interview! Hi Amy. Thank you for providing all of the helpful information! I want to start a LEGO Club at our library but have yet to purchase or borrow LEGOs. Do you know of any clubs that have the young builders bring their own LEGOs? I have plenty of space to spread them out to build, and adults will be present, but I do worry a little about pieces being borrowed, shared or traded. 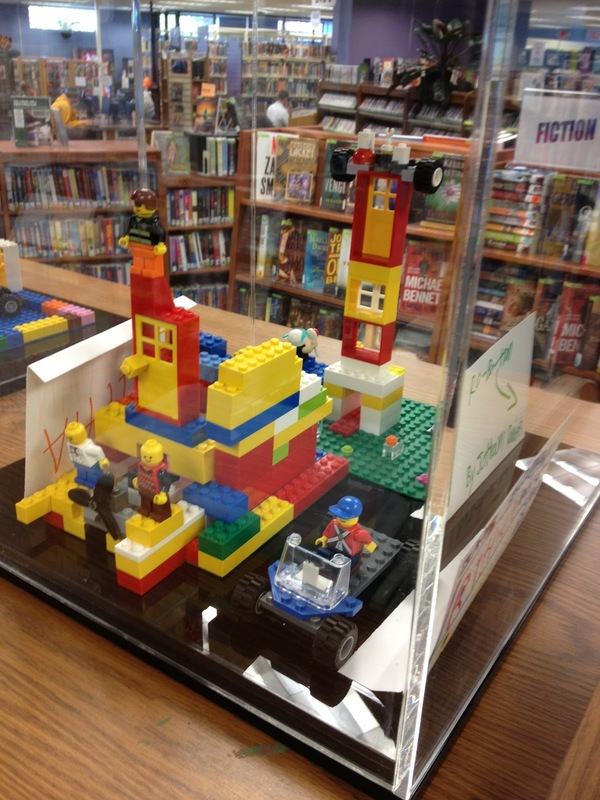 I also realize they would have to leave their personal LEGOs at the library if they wanted their creations on display. Initial ground rules, I imagine, would help but wanted your thoughts about children bringing in their own LEGOs. Thanks! I'm not aware of any libraries that do LEGO Club where kids bring their own LEGOS. And, honestly, I think I'd avoid that scenario if at all possible. If kids are responsible for bringing their own, what happens to the kids whose families can't afford or don't have LEGOS? Can they not participate? What about kids who forget theirs? Since the library almost always provides all of the resources necessary to participate in a program--the only time I've ever asked kids to bring something was a shoebox, and I still had plenty of extras--I think suddenly asking families to bring their own program supplies is a potential problem. I would much rather hold off on offering LEGO Club until the library can procure some LEGOS--either by purchasing, through a grant, or through community donations. That way you avoid kids who can't participate because they don't have their own, and you also avoid potential fights over whether everyone has their own LEGOS with them after a program. We do a monthly Lego League. We put the Legos out down the center of twin sheets. I always joke that the only rule in Lego League is to keep the Legos on the sheet. When the kids are done we just pick the sheets and dump the legos back into the container! Great time at our first session! I called it LEGO: The Creating and had about 25 kids from ages 3-11 and about 8 parents. My coworker had a nice size bin of a huge mix of LEGOs plus a good selection of DUPLOs that got used as well - plenty for all! Only one boy asked if he could bring one of his creations to share and this was no problem at all as free others were impressed with his Mario Bros. creation. The session pretty much ran itself for the 1.5 hours it ran. The last 20 minutes they cleaned up the loose blocks and then they shared their work. I now have an awesome display on the top of the children's book shelves. Out of reach but still able to appreciate everyone's work. A placed a small placard with the builder's first name and a title of their work. I'll leave them up until our next Creating at the end of December. Again, many thanks to you and the other contributors for the questions, advice and experience. What a great first LEGO Club! I'm so happy to hear that the resources were helpful and you had a great time. I never encountered an instance of kids trying to take home any of the library's LEGOs. Occasionally one of them would ask if they could have a minifigure, but when I explained the LEGOs all belong to the library and we wanted them to be available for all the library kids at LEGO Club, we didn't have any issues. I'm approaching my Friends group to ask for $300 worth of LEGOs to get a club started. I was wondering how many baseplates, LEGO people, etc. I should ask for to get started. Any help would be great, also where to purchase for the cheapest. Thank you! Heather, I've not really found a way to get LEGOs for particularly cheap. I've either ordered them directly from LEGO or from Amazon. Baseplates can be kind of hard to come by, so if you can't get them, I wouldn't worry too much about it. If you can get them, aim to get one for every seat in your program--that is, if you allow 30 people to register, try to get 30 baseplates. Again, it may be easier/cheaper to forego them than to have just a few that kids fight over. Same goes for the mini-figs. Some sets will come with figures (as will some LEGO books which your library may be ordering), but you can also buy mini-figs as sets on their own. Aim to have at least one per person you'll have in your program to avoid fighting over who gets one and who doesn't. Okay. Thanks so much for the suggestions. Your blog is terrific and it's very helpful, especially for those of us who are new to STEM/STEAM programming. Hope you're having a nice Sunday! Hi Amy, I hope you don't mind another inquiry! After doing some research, I'm finding that I have more questions about what to purchase. This is my first time requesting funds from our Friends group, so I want to be sure I make good choices. I am looking at LEGOs for use in storytime, as well as for school-aged. From what I'm reading, it looks like the DUPLOs are best for the little ones as they are geared for 1 & 1/2 to 5 years. So far, I've found a Lego Ultimate Building Set - 405 pieces, minifigure, windows, doors, wheels, with 5 suggested models to build, for $135 approximately. I also found a LEGO DUPLO My First Deluxe Box of Fun, containing 95 pieces - a turtle, rabbit, wagon, and 2 minifigures. Do you think these two items would be good for this basic purchase? I'll have about $100 left, and am looking at minifigures for both age groups. Since I'm billing this as an educational program, do you think it would be best to lean towards community workers for both age groups? I'm looking at 30 spots for the school-age, and 15-20 spots for storytime. There are so many minifigures to choose from, and I'm wondering what you purchased for your initial purchase. Thanks in advance, again, for your help! Heather, we didn't purchase minifigs separately; we got them with sets. I would focus on getting more pieces before you spend money on minifigs. If you've got a 405 piece set for a 30-person program, that means each kid would only have about 13 pieces to build with. You want to at least double that if at all possible. Look for really basic sets--they don't have to have instructions to be able to build anything, because kids will build using their imaginations. The most important thing to start out with is making sure there are plenty of block for kids to use to build. Okay, I see where you're going with this. This helps a lot. I think I was just overwhelmed with the number of different LEGO items available that I wasn't sure what to get. I'll go for the basics first. Thanks again for the advice. Much appreciated! Could you share the display cases you had gifted by the friends to display? Thank you so much! Do you know of libraries that leave their legos / tables out all the time? i.e. in between lego club meetings? While I'm sure there are plenty of libraries that leave regular LEGOs out a lot of the time, I know many who only do so with Duplos so as to reduce risk of choking hazards in mixed-age spaces. Thanks for sharing information about your Lego club. 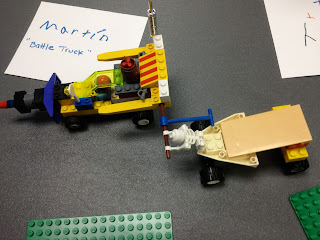 I follow your blog, and I love your ideas :-) I'm planning to start a county-wide STEM Lego club at all eight libraries in our system, so this post was very helpful. Quick question: How did you go about marketing your club to avoid copyright infringement issues? I've been on the Lego website and read their Fair Play statement. It seems like they're pretty protective of their brand name and logo, understandably so. Do you have any pointers on how to market the program, or do you know of other resources that might be helpful? Bridget, I know a ton of libraries (and other locations) that use the brand name LEGO in their publicity materials, and they do so comfortably because a) they have purchased the LEGOs and consider discussion of their property fair use, and b) they do not charge for participation in the programs and so are not using the LEGO brand for financial gain. That said, I do not know what the finer points of this topic are. My library recently started calling our weekly event Builders Club so that we can remain open to building with all sorts of materials, not exclusively LEGOs. Amy, just a suggestion - you can buy sets on e-bay or craigslist for considerably less than new prices, so you can get more for your money. I am a school librarian. We are creating a Lego wall in our PK-5 library. Any tips for how to manage this in a school library where students will be coming in during their school day? I've never run a Lego Club in the format that a school library would necessitate, but my best guesses at modifications would be to have a visible spot to post a building theme or challenge; have an obvious container for storing unused pieces; and have a method for capturing students' creations (like taking a photo at the end of every day) so that you have a record of what's been created and can more freely take creations down. Amy, the information here is so helpful as I begin a library lego club in Chicago. My question to you is about logistics with the lego pieces. Can you describe how you store/put out the legos for the kids during the club? Do you just have several bins of mixed up pieces that the kids can grab from? Do you sort them in any particular way? (I'm sure that is somewhat unrealistic to maintain). In short, how do you prevent a grabbing pieces free-for-all when you first put the legos out and ask kids to start building? Thanks! Great questions! I would usually just have mixed tubs of materials on each of the tables, and they'd be set out there when the program opened--that is, the LEGOs were available from the moment kids entered the room. We had lots of repeat attendees, so grabbing wasn't typically a problem once kids got the hang of our format. If grabbing is an issue, though, I recommend having a few weeks where the challenge is "what can you build with a single cup of LEGOs?" That way you can distribute a set amount to each child until they get the hang of browsing the bins rather than grabbing. I hope that helps! Our kids don't get to take the LEGOs home, as they belong to the library. That's why we created a space to display kids' creations between meetings--they can come back and see their creations after they've been created. I would love to hear more of the themes you have given. I have been running our Lego club since November of 2015. I host it every other week. I have loved your suggestions and have worked to improve our Lego club. Some popular themes included ancient Egypt, robots, pirates, symmetry, desert island, dinosaurs, breakfast (the kids chose it and ran with it! ), and mad scientist. Thank you for sharing. I am new to starting a club in our library. Thanks again for the advice. Thanks for all the information. Would you be willing to share your newsletter to parents/club information letter? Hi, Charlotte. It's now been several years since I've worked at the library where I ran this Lego club, and I no longer have any of the original materials that went with the program. Hello Amy, how much money do I need to start a lego club? I need to provide the amount of money for funding.